Succulent gardens make a dramatic Statement. 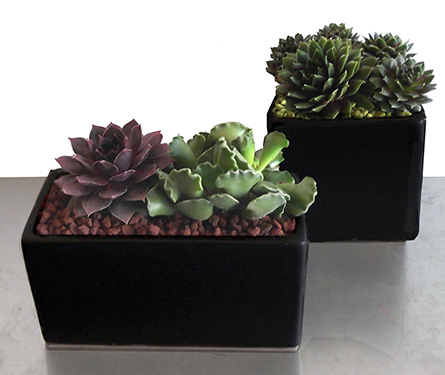 Low maintenance and variety Of shapes and textures make Succulent Gardens a Popular new Trend. Succulents are Locally Grown in Yaquina, Oregon. Succulents adapt well to most conditions. Keep at 60-80 degrees Fahrenheit. Water twice a month. Allow soil to dry between watering. A well lit area near a window is required.